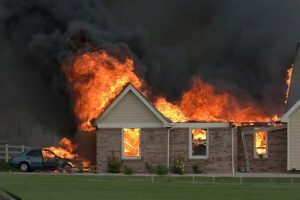 Homeowners insurance covers you for many disasters, but which ones specifically, and which ones does it not cover? The standard homeowners insurance policy covers a diverse and wide range of disasters. Everything you need to know is inside of your home insurance policy, but the language can be a bit arduous to decipher. If this is the case, you can talk to your insurance agent and get a clear understanding of what is and is not covered. To get a broad idea of what is covered by the general homeowners insurance policy, we have a made a handy guide for you. Floods –Flood damage is not covered under your home insurance, but you can purchase a separate flood insurance. You are either high-risk or low-risk and your premium is based on where you live. Earthquakes – Earthquake damage can be covered by purchasing earthquake insurance and is based on the risk of earthquake potential. Maintenance Damage – It is your responsibility to make sure that all your systems work correctly. Your negligence towards your equipment will not be covered. Get in touch with your Pierce Insurance Group agent and contact us today for an all-encompassing homeowners insurance policy in McKinney, Texas.